I have only ever made biscotti once several years ago, and I figured, from memory, that it was not too complex and would be easier to make than the other choices!! I have opted to use a flavour combination that I have used before for other recipes, and that is Maltesers and Baileys – yummy! Although having now just watched the GBBO, I am thinking that my biscotti may not be proper biscotti as it contains no fruit and no nuts! (should it? I am not really sure!). Anyway, mine still tasted delicious! In a large bowl, whisk the eggs and sugar together until pale and fluffy. 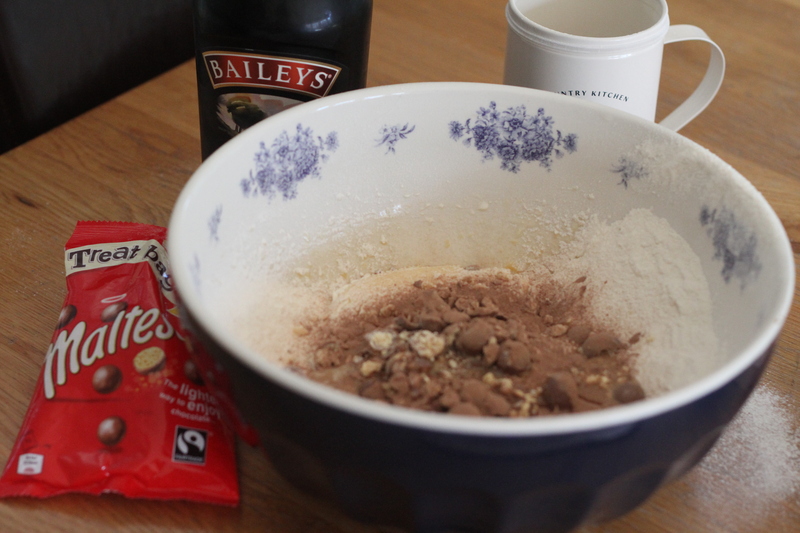 Sift the flour and bicarbonate of soda into a bowl, and add the cocoa powder, Baileys and Maltesers. 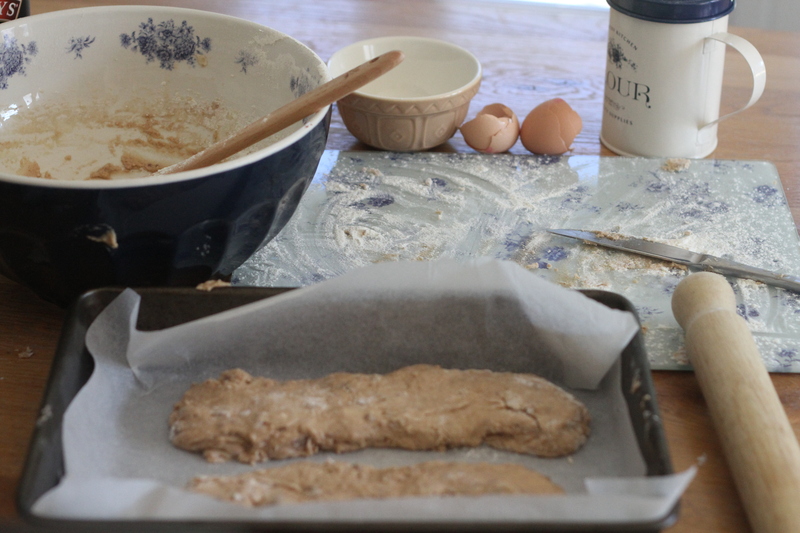 Then, fold into the egg mix to make a soft dough. 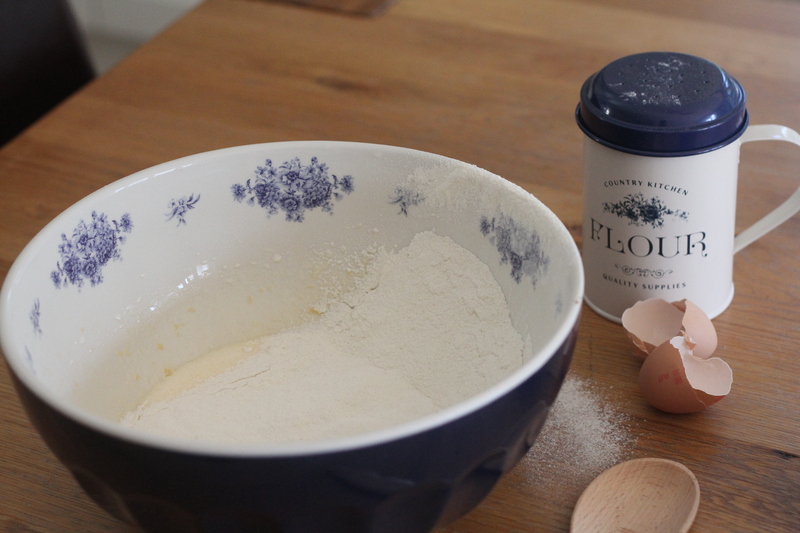 Turn the mixture out onto a lightly floured surface, and shape into a sausage shape or shapes if your baking tray is not as big as you thought! 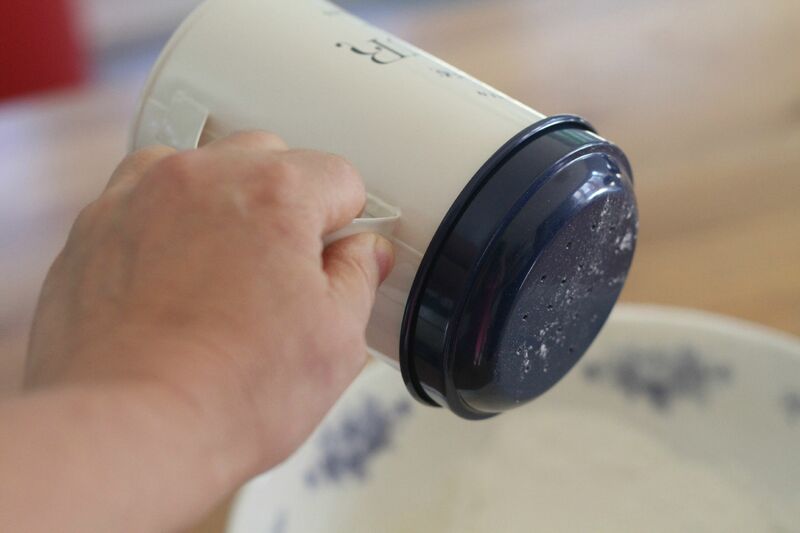 (but make sure you flour your hands!). Carefully, transfer to your baking sheet, and lightly flatten to approx 3cm thickness. Then, carefully remove, place onto a chopping board, and slice the log into 1cm thick slices and return to the baking sheet, cut-sides up. Bake for a further 15 mins until crisp. Should keep for a couple of weeks in a tin. I cheated and drank mine with tea – obviously you are meant to have eat it while sipping a fine Italian blend coffee, but I am a tea and biscuit kinda gal! 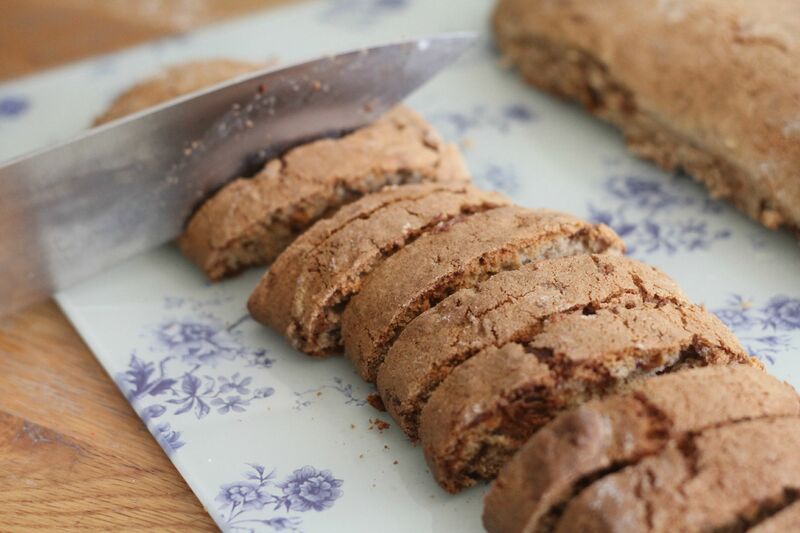 My OH ate a piece with his coffee and he liked it – so that means it must be ok to pass his taste test 😉 Knowing how easy biscotti is to make, I will definitely be making it more often from now on. 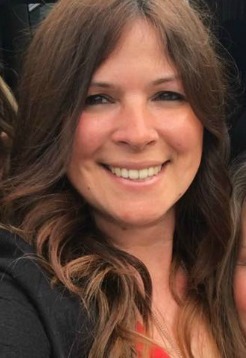 This week’s bake off linky is being hosted by Andrea – go and see what she has baked for biscuit week. 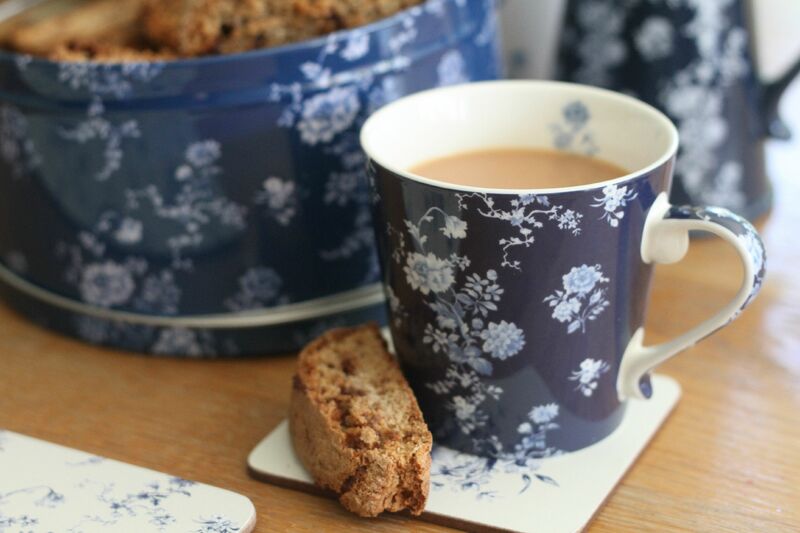 You may have noticed the gorgeous bake and home ware items featured in my post. They are from the new National Trust range available at Homebase , and I think they are so pretty and will look at home in any kitchen. I was sent some items from the new range for the purpose of a review. What gorgeous photos and bakeware. 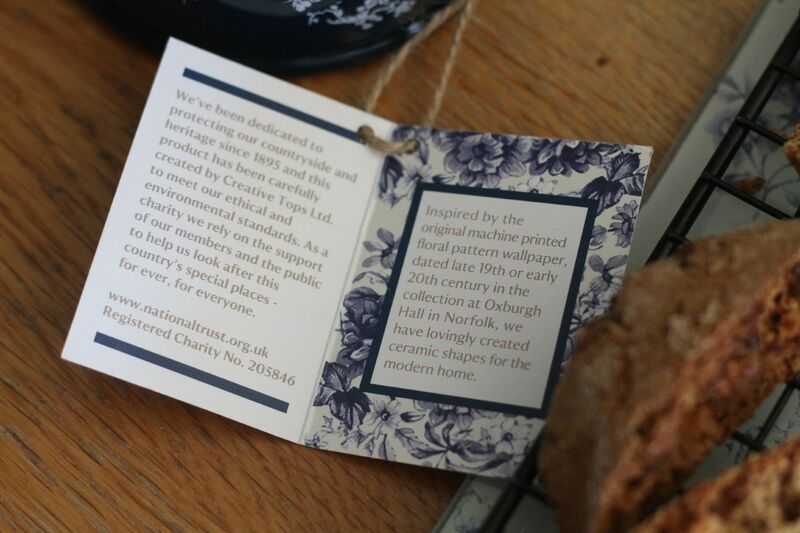 I love National Trust stuff. 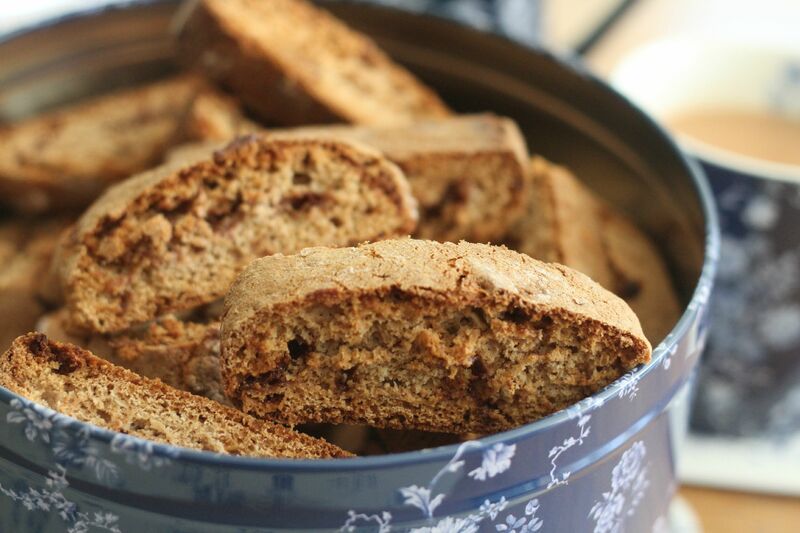 Your biscotti sound delicious. I didn’t know they had to have fruit or nuts in them to be considered proper biscotti. I made my version on Monday night & they do, but I had no idea. They look great! These look fantastic! Baileys and maltesers sound my kind of biscuit! 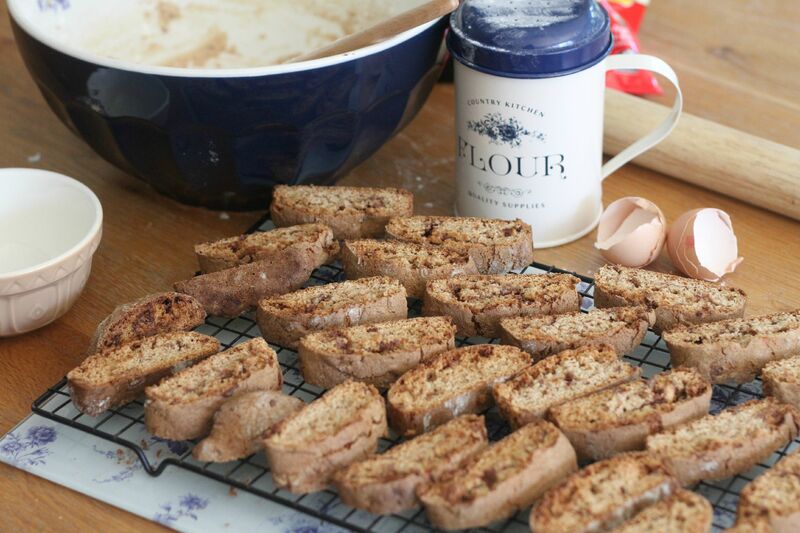 My biscotti tasted ok – but didn’t look pretty! Wow these look a tummy! I hope mine come out as well! Question – what is the difference between a biscuit and a cookie? (Yes that is a serious question). It is amazing the differentiation between various English words and the differences in how they are understood in North America as compared to here! You were lucky to be able to bake in peace as I had five children running round my house! I blame that for mine not being the same size! these look really good, and that baking range is so nice. I’m pretty sure the important thing about biscotti is that they’re twice baked rather than exactly what goes into them. I’d certainly pick your flavour combination over some of the ones on bake off! (Baileys and malteasers feature very highly on my yummy list). Maltesers would be good, Baileys would be lovely…put them both together and I reckon they taste incredible!! These look so scrummy! I’d never have though of including baileys in a bake – I bet it’s good! 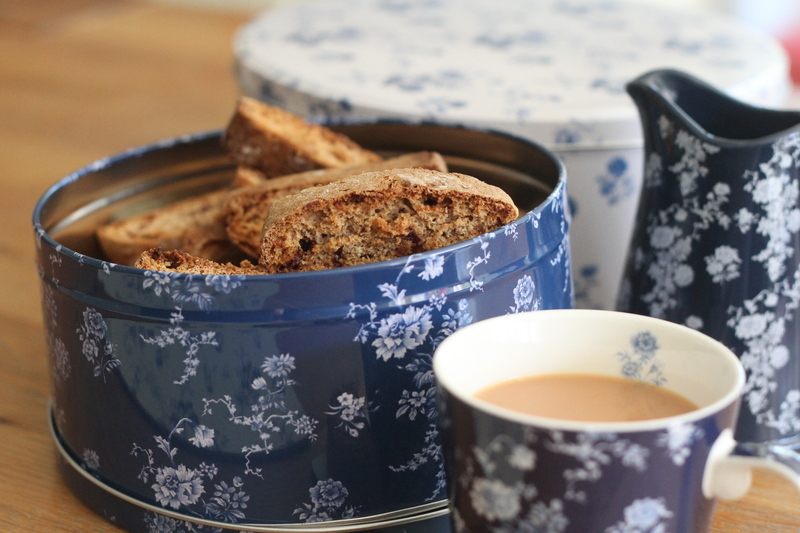 And I love the bake ware items you’ve got – I love blue and white patterns! Mmmm Baileys and Maltesers, what more does a girl need! Love that set of homeware too, it is very pretty. Wow this sounds amazing! I made save the recipe to try nearer Christmas as avoiding too many sweet treats at the moment! HOLY MOLY! 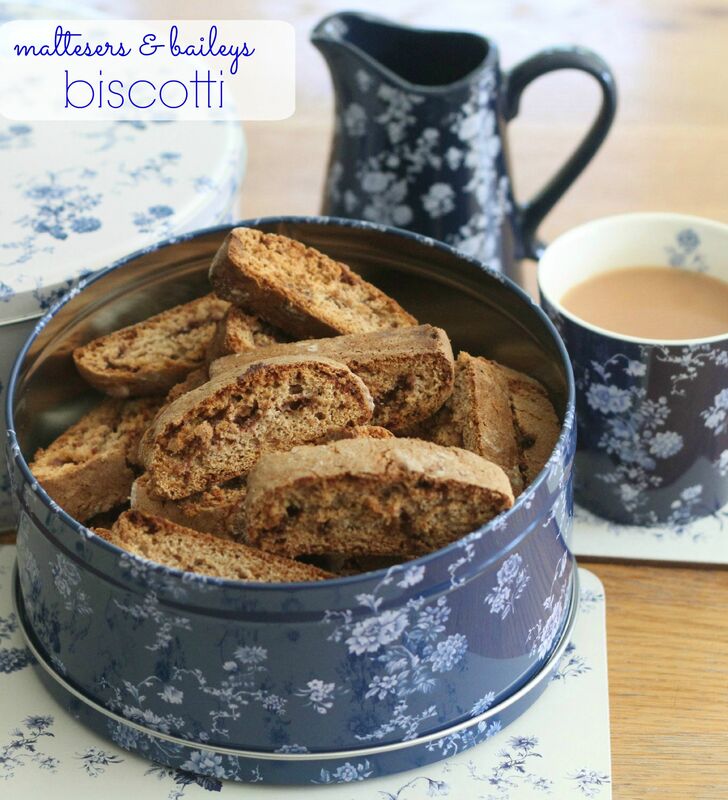 These look incredible – I’ve been meaning to try biscotti’s for ages, so I must make sure I give these a go! I’m popping over from #tastytuesdays and the #recipeoftheweek linkies! Malteasers and Bailey’s sounds delicious! The bake wear is really pretty. I absolutely love the kitchenware, just gorgeous and your photos are amazing! 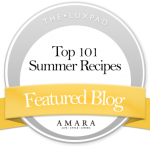 I might have to try your recipe too – yum!